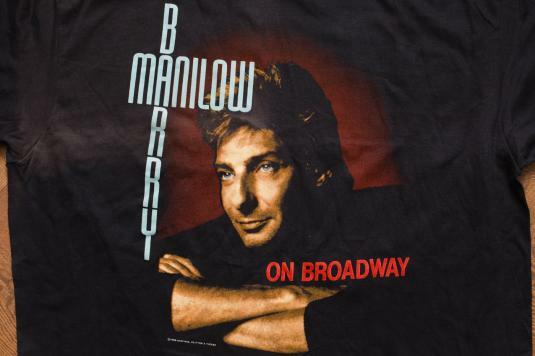 Vintage 1980s Barry Manilow "On Broadway" t-shirt from his 1989 US concert tour; made in USA. It is a thin, lightweight tee. It seems to be unworn, but does have significant fading in several areas on the front. Actual Size: Modern L? – Length 29" – Pit to pit 22"